Chiropractic Care and Rehab Center provides quality, effective neck pain treatment for patients in Estero, Fort Myers, Naples, Bonita Springs, and San Carlos Park, FL. Aging: The joints in your neck undergo significant wear and tear throughout your life, which can result in degenerative changes as you age. Conditions like osteoarthritis, degenerative disc disease, or spinal stenosis (narrowing of the spinal column) can all lead to neck pain. Nerve compression: Neck pain can result from compression of the nerves in the cervical spine caused by herniated discs, bone spurs, or spinal degeneration. This nerve compression can cause headache and pain radiating from your neck to your arms and shoulders. Auto injuries or other accidents: During a rear-end collision, your head and body can be jerked in different directions. This shearing action stretches and damages the ligaments and discs in your cervical spine, causing neck pain and whiplash symptoms. Auto injuries are the most common cause of whiplash, but sports accidents or other traumatic events can also lead to whiplash injuries. Poor posture and muscle strain: Poor posture can force your body to put undue strain on your cervical spine and the surrounding muscles. Over time this muscle strain can lead to neck pain and overuse injuries, especially in jobs where you spend several hours hunched over a wheel or computer. Chiropractors typically treat neck pain with spinal manipulation, or chiropractic adjustments, of the cervical spine (or neck). During a chiropractic adjustment, a chiropractor uses gentle, controlled force applied directly to the injured area.This helps to restore mobility in restricted joints, which enables the damaged tissue to heal while alleviating pain. Chiropractors like Dr. Green and Dr. Giroux often use chiropractic adjustments in conjunction with other treatments like exercise rehabilitation and massage therapy. Multiple medical studies have shown that chiropractic care can reduce neck pain and related symptoms. Dr. Green and Dr. Giroux will carefully examine your neck to determine the source of your neck pain, checking for both physical and neurological dysfunction in your neck, upper back, and shoulders. They'll evaluate your posture, muscle reflexes, neck range of motion, and spinal alignment. This will allow them to create a treatment plan tailored to your specific needs. At Chiropractic Care and Rehab Center, our expert neck pain care has provided relief for hundreds of patients in Estero, Fort Myers, Naples, Bonita Springs, and San Carolos, FL. Call our office to get back on the road to health today, at (239) 495-1166. Bronfort G, et al. Spinal Manipulation, medication, or home exercise with advice for acute and subacute neck pain: a randomized trial. Annals of Internal Medicine 2012; 156 (1): 1-10. 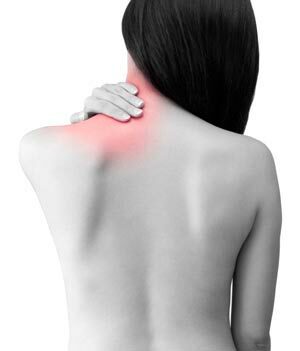 Chiropractic care and neck pain: conservative care of cervical pain, injury. American Chiropractic Association. http://www.acatoday.org/content_css.cfm?CID=2430.